Content Creation is difficult. But, it is a priority for most marketing teams. After all, content marketing gets three times more leads than paid search advertising (Content Marketing Institute, 2017). With that in mind, life as a content marketer can be made easier by combining any number of the below content marketing tools. 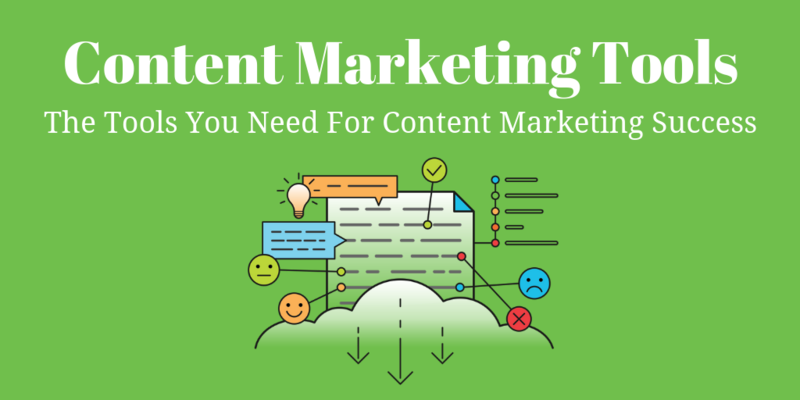 From organizational tools to idea generators to artificial intelligence powered optimization tools, these will help grow your content marketing strategy, create high quality content and generate more conversions. 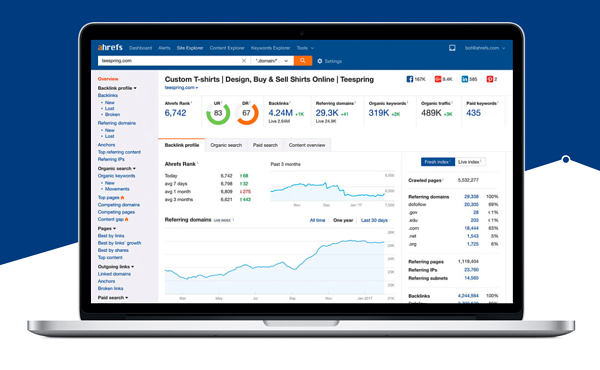 Ahrefs is one of our favourite tools. You can search by topic or domain and see what content is performing best across the web. It will show you the number of engagements on each platform for every piece of content, allowing you to quickly identify what is performing well in your industry. To take it a step further, you can find out who the major influencers are and try to engage with them to further spread awareness of your message. You can also identify what is performing well on your own site and that of your competitors. Incorporate these insights into your content strategy and double down on content that is driving engagement. If you write blogs, you know what a struggle it can be to come up with ideas for content. Every idea you think of seems too overdone or too farfetched to appeal to your audience. 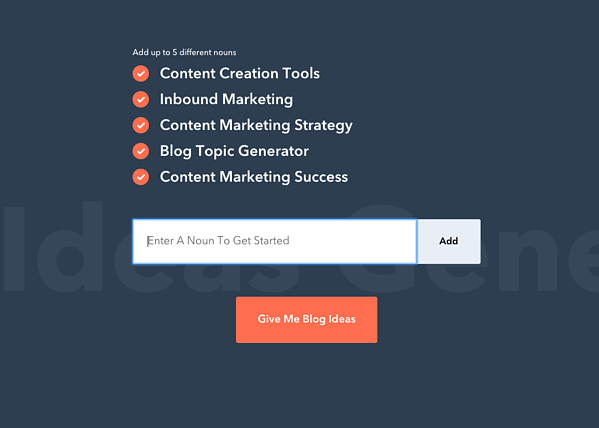 Next time you're having a mental block when thinking of content ideas, head over to HubSpot's Idea Generator. You add in up to 5 different nouns, click the button, and it sends you back some excellent blog topic ideas that will help get your creative juices flowing. Some of the ideas that come out are great, and other ones will spark a new concept for you - allowing you to tweak the idea slightly to give it more appeal to your specific audience. However, be cautious with idea generators! If you are in a saturated industry, it is likely someone will have put in the same words before and may have gotten similar or the same results. You should always check that your ideas are not something that already been published a number of times. If that is the case, find a way you can put a new twist on it or see if any new data has come out relating to the topic that will set your piece apart from your competitors. You've probably been told thousands of time that headlines are one of the most critical parts of your content. Well, it's true, they are. Your headline is what draws in your visitor, enticing them to click on your piece of content. Your headline is your first and only chance to get users to engage with your content so you need to create one that can't be ignored. 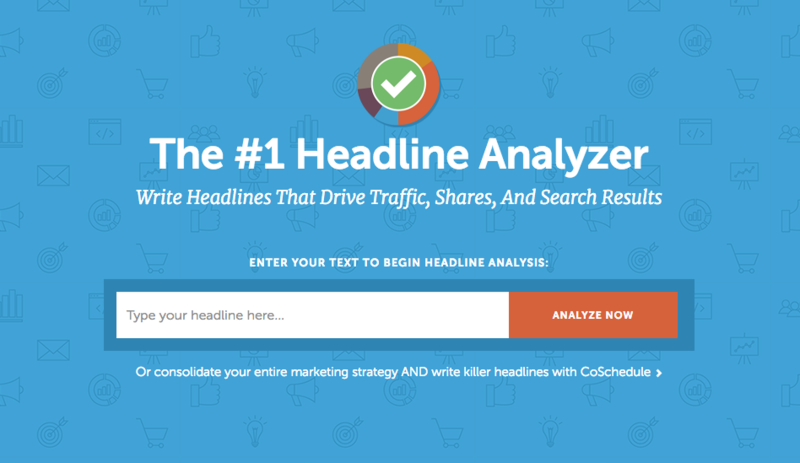 CoShedule’s Headline Analyzer can help you do just that. It's a totally free content creation tool that suggests ways to improve the headline you've come up with. It will score your headline out of 100 and make suggestions like; increase the number of uncommon words, increase the number of power words, reduce the number of common words. GIFs were one of the biggest digital marketing trends of last year and continue to be one of the most popular forms of visual content in 2018. GIPHY is an online database that allows you to search for animated gifs. There are millions to choose from and you can even create your own. These gifs are a great way to boost engagement, and they are simple to create. Adding gifs into your social media or blog post could be a great way to keep your audience's attention as most people prefer visual content and need text content broken up to be able to consume it all. Looking to convert your website visitors into customers? Then this is the solution you've been looking for! Hello Bar is a tool that helps you create enticing messages on your website that aim to convert your visitors. From exit pop-ups to content upgrades, you can target your message towards specific users who visit your website which will make the experience feel personalized and will grow your subscriber list. Creating your free account is as easy as entering your website URL. Infographics are a great form of content and can help you increase web traffic by up to 12%. If they are not a part of your content strategy already, then you need to start including them. You may think that they are time-consuming to create, and you need design skills to be able to create them, but that's just not true. If you, like us, are a content creator that doesn't have excellent design ability, not to worry, you can use Easel.ly. This content creation tool can help you produce stunning infographics with its easy to use interface. They have loads of templates to choose from which you can tailor to your needs, adding in charts, text, images and changing colours and fonts to match your brand. This tool allows you to easily create a professional lead magnet in less than 10 minutes. Integrating with your CMS, Beacon helps you convert blog posts into lead magnets, therefore generating more leads. It takes your typical blog posts, and helps you transform them into an asset for your audience to download. You can leverage the existing templates in Beacon, and/or incorporate some of your own branding and completely customize the templates you use for various types of content. Rybbon is a digital gift management solution for marketers and researchers. Redfining customer appreciation, this tool makes it easy for businesses to digitally surprise and delight their customers with various e-giftcards from Visa, Amazon, Starbucks and more. Working with your favorite marketing tools, this is additional motivation for content marketers to create high quality content that entices their audience. You can build campaigns, contests and more surrounding your content, and promote your content with additional incentives. This one is not so much a content creation tool, but instead an organizational tool. But, if you can't keep your projects organized they will never get done. The same goes for content. If you do not use a management tool of some sort it will be difficult to produce content at a consistent rate. Using Monday gives you a simple way to get an overview of all the content you and your team are working on, what deadlines are coming up, who you need to contact and more. Integrating with a number of other solutions in your tech stack, it is also highly customizable. You can set up your board in whatever way works best for you, ensuring it meets all of your needs and that you always have a clear view of everything you're working on. The internet's favourite comment plug-in makes it easy for publishers and content marketers to fuel colourful discussions, efficiently moderate comments, and build engaged communities. Recently launching Reactions, a feature focused on quickly being able to engage with content, Disqus is trusted by millions of content publishers. Integrated easily with your publishing platforms, this tool allows you to engage, retain, understand, and monetize your content. With a free pricing plan, it is easy to get started. "The future of content marketing seems to be visual content. In fact, readers today expect visual content from content creators. It's no surprise then that posts with visuals produce 180% more engagement and increase's people desire to read content by 80%! Venngage identified this trend and capitalized on it! Venngage is a leading graphic design platform that helps marketers create infographics, flyers, social media banners, and other types of visual content easily with thousands of customizable templates. With a few clicks, you'd be able to create beautiful visuals for your blog, website, and online marketing." This content intelligence platform that helps you create high quality, consistent and profitable content. Atomic Reach uses a content scoring system to establish the quality of your content. It has extensive knowledge of the relationship between language and human behaviour. From this knowledge and analysis of your content and its performance, it can recommend amendments to your content that will help you boost your conversion and build better relationships with your customers. There are many more than just these 10 tools out there that can bring you success. However, these are a few affordable tools that we use that can bring marketing team's success while trying to generate more leads and conversions from their content marketing efforts. What other content creation tools have you used?